A Canadian heirloom, this variety has been grown in Port Alberni, British Columbia for many decades, and is proving more cold-hardy and adaptable than expected in many northern areas. 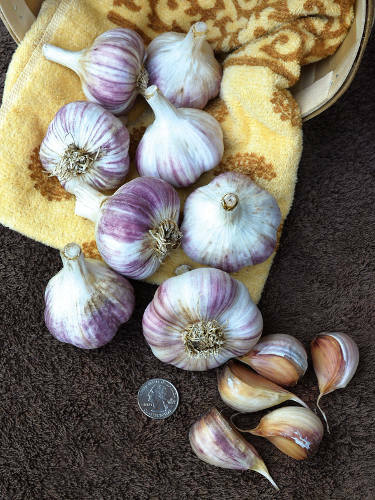 Dubbed “smooth as single malt whisky,” this mid-season heavyweight yields big bulbs with purple-streaked skins and 5-7 rosy-red or pinkish-tan cloves. Give it plenty of air to cure after harvest, and you will be rewarded with Uncle Kostyn´s prized garlic year after year.